by gillian claire: Skincare Benefits of Kaolin Clay + Charcoal with Vivo Per Lei! 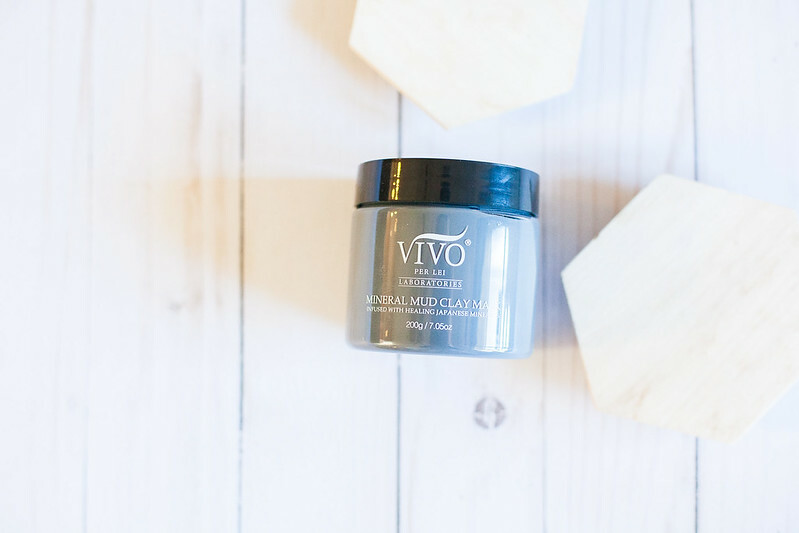 Skincare Benefits of Kaolin Clay + Charcoal with Vivo Per Lei! What is it about face masks that are so fun? I just did a poll over on Instagram yesterday and it looks like I'm not the only one who loves them so much! Face masks are one of my favorite ways to relax and feel like I'm really pampering my skin + giving it a deep clean. 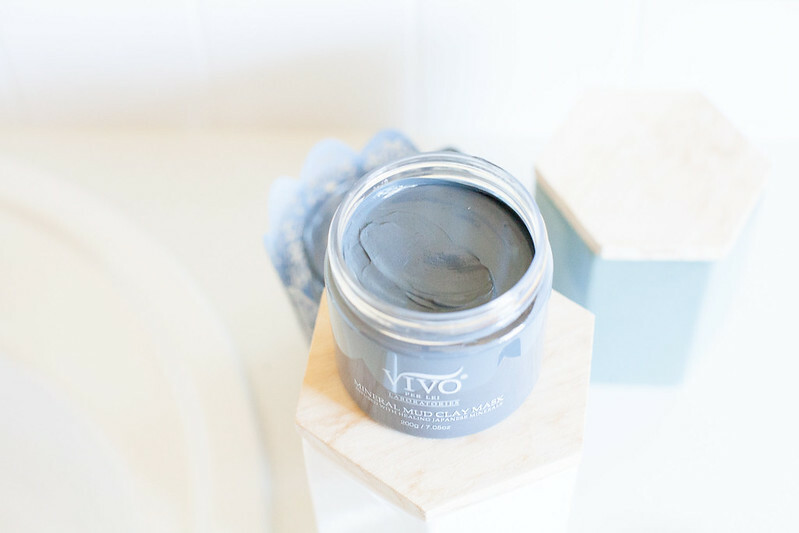 I'm partnering with Vivo Per Lei on this post to share my experience with one of their luxurious face masks! The two main active ingredients in this mask are Kaolin Clay + Bamboo Charcoal. Kaolin Clay was a new skincare ingredient for me to learn about. 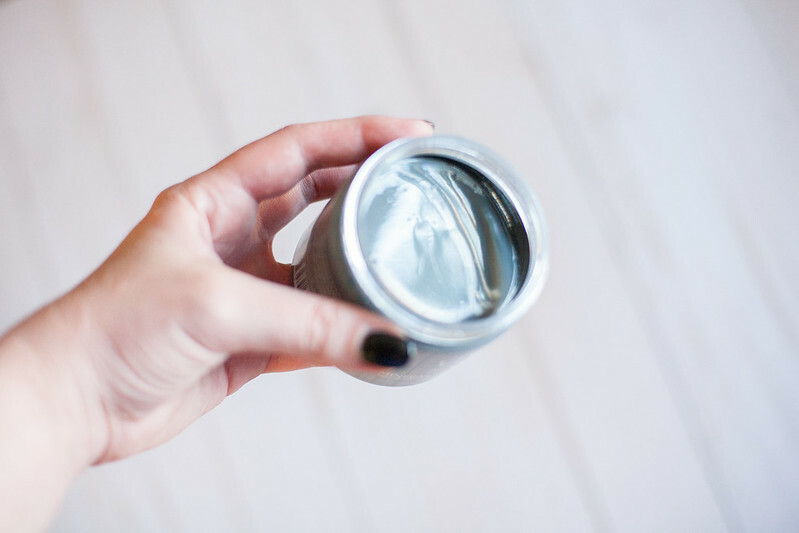 I'm so glad I did some research because there are actually so many benefits to using Kaolin Clay in skincare! It is apparently a very gentle clay and suitable for all skin types. Similar to Charcoal, Kaolin Clay works to pull impurities from pores. Other benefits of Kaolin Clay are that it helps with oily skin, is exfoliating and can be used to tone and tighten skin as well! How beautiful is this mask? It almost felt too pretty to dig my fingers into! It was a lot creamier and softer than I expected which I loved and it went on feeling very smooth, soothing + luxurious. I have very sensitive skin. I have definitely broken out in hives a few times after a face mask. The instructions said to leave this mask on for 15-20 minutes. I ended up leaving it on longer because I was working (I work from home, don't worry!) and lost track of time. Praise Jesus, my skin did not have any negative reaction to this mask! I loved that even though the mask did dry somewhat, it didn't cake up really hard like some do. It was so much more gentle and moisturizing than I expected from a mud mask! My face was a little pink after I washed it off but my skin immediately felt plump and hydrated! Have you ever used a skincare product and you just keep looking at yourself in the mirror that day like, dayyyum my skin looks good? (Haha, or is that just me??) Well, that's what I did after using this mask for the first time! My skin was absolutely glowing and looked so silky + youthful! The first drugstore charcoal skincare product that I tried a couple years ago didn't wow me so I was kind of left thinking that the whole "charcoal hype" was a little overrated. I have since found with more experimentation that if you find a good quality charcoal skincare product, it does work and it's actually pretty fascinating to see! A little close up look of the Mineral Mud Clay Mask at work! These might honestly be the most hilarious set of photos of me to ever grace the blog! Overall, I'm really impressed with this mask by Vivo Per Lei and I'm looking forward to many more skin detoxes in my future! 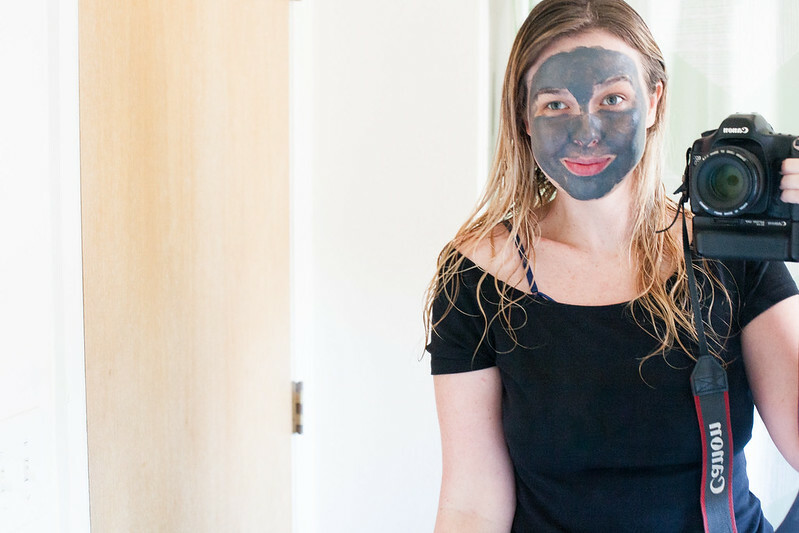 Have you tried any Charcoal or Kaolin Clay face masks yet? I'd love to hear your experience with them below! Be sure to check out the Vivo Per Lei website to learn more about all of their products. You can also find them on Instagram: here! Follow me on Instagram for my latest beauty updates! I love a good mask! I have to check out this one! I love this one- it's my current favorite! Both of those like look so luxurious! 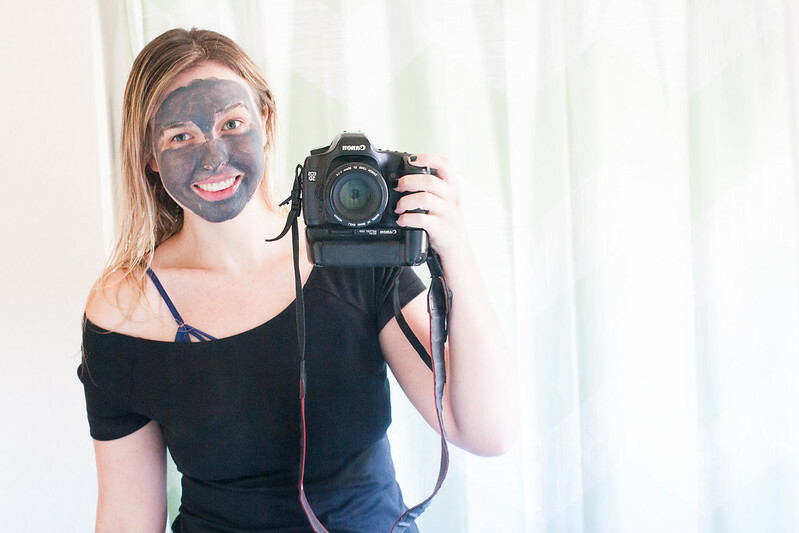 I just tried my first charcoal activated mud mask and I'm hooked! Yes, charcoal is such an amazing skincare ingredient! Ok, this mask sounds AMAZING. I have yet to try one of the charcoal masks but this one sounds like a good one! I love doing masks and getting all the gunk out of my pores, my skin always feels so refreshed after! I totally agree about getting everything out of your pores- it's the best feeling! I love a good facial mask! I have not tried charcoal but it seems very popular right now! I'll have to check out! 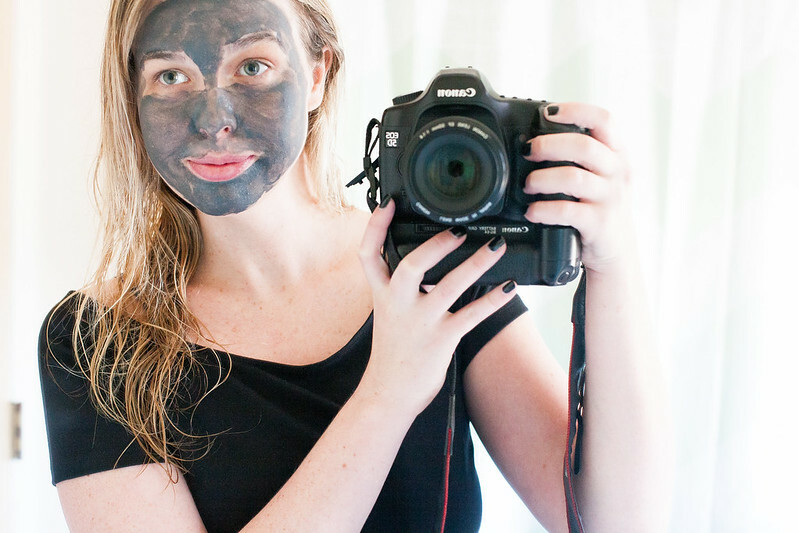 Oh you have to try a charcoal mask! If you find one you love, you'll be super impressed with the results! I definitely need to give this a try! It's such a great mask, I was really impressed! Ahh! I want to try this SO badly!! It's such a good one! Face masks are so fun, right?? Ive never tried a mask like this before! Looks wonderful though! I haven't tried many masks before. Ive never tried a charcoal one. I do have a firming one by glowglam that I love though. Love Clay and Charcoal when my skin is getting overly oily. I've never used a mask before! Being a mom to a big family kind of made it hard to really take me time and do things for myself. I really need to start though, I'm 32 and am starting to see fine wrinkles and inperfections I didn't really notice before. Excited to try one now that I've read these experiences!! I would love to give this face mask a try! I will definitely read up more about this product and would love to give a face mask a good try. Thanks for the nice giveaway. Your products are amazing! 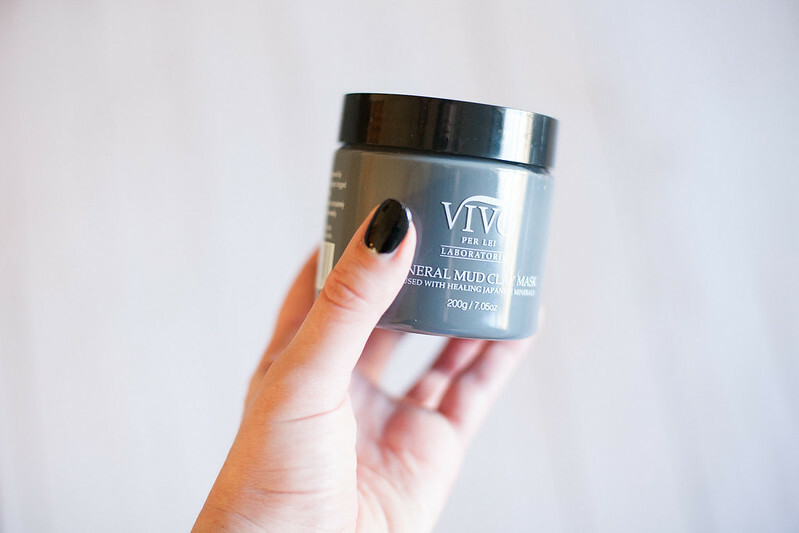 I would be so honored to try this mud clay mineral mask! I think my skin would love this! This is nice. I’ll love to give it a try. I am a new fan of mask!! I now love everyone of them I have tried. This one looks amazing. Thank you for such a detailed blog post!!! I know how important Vitamin C is, so glad to see it being used in facial products. I never tried a face mask before. I would love to try this as I have oily skin. I have not tried the charcoal mask, but I would love to because I have heard spectacular things about it and your other products. Masks have certainly improved since I used to use them back in the 80's and 90's. I stopped using them until recently because they only made my face break out when I used them years ago! I would like to use that mask! looks very interesting. i have to try this. This post is going to make me do a facial today. I haven't given myself one in about a year. Since it is very cold and dry, I think my skin would benefit from one right now. I have not yet tried these masks, but I am intrigued. My daughter went to a mud mask facial party at her ffriend's house, and had a blast! I would love to try this! Would really like to try the Vit. C eye moisturizer and also the clay mask! I would like to try the mud mask especially. Its so good for your skin! I would like this product to pull the impurities and excess oil out of my skin. I have oily skin. This would help my skin a lot I hope. Ahhh, I've never heard of bamboo charcoal before in mud masks. Makes sense though. As a woman in my 50's this would be great for my skin. Thanks for the review! This looks like a great mask. I would really love to try it! I have not tried these yet, but bamboo charcoal is new to me and I love that you said it pulls out impurities like a magnet! This mask sounds amazing!!! I'd love to try it. I haven't tried either one but now I am curious to see how they improve my skin. I feel like anything with charcoal works 20x better! I haven't tried charcoal or clay masks. I understand they work very well.